It's not just people being evacuated from parts of Texas and Louisiana who have been devastated by Harvey, but animals in shelters, too. WALDORF, Md. — It’s not just people being evacuated from parts of Texas and Louisiana who have been devastated by Harvey, but animals in shelters, too. 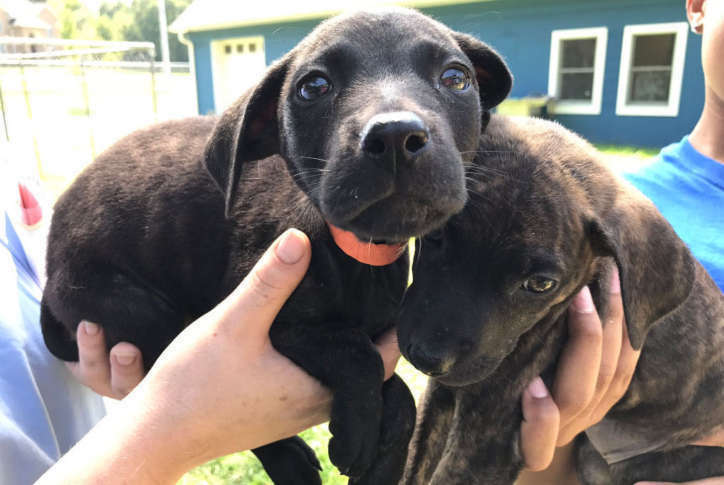 Some 100 of them arrived Thursday at Last Chance Animal Rescue in Waldorf. “Mostly dogs, some cats, nine or 10 rabbits, a ferret and some guinea pigs,” said director Cindy Sharpley. Their arrival comes just days after the group accepted a large number of animals that had been removed from the hurricane zone ahead of the storm. The group is expected to receive even more animals affected by Harvey this Saturday, as well as on Sept. 10. Thursday, employees and volunteers holding adorable dogs and puppies in their arms lined up in front of a table set up outdoors, where the newcomers received microchips, vaccines, flea and tick treatment and more. Older dogs kept the names they arrived with, but each puppy got a new name. They were named after towns in Texas. Last Chance Animal Rescue is now looking for foster families. “Have a little extra room in your home? Open it up to a foster dog for a few weeks. It’ll be one of the best experiences you ever have. We provide everything, we do all the medical. We provide the food, we provide toys, we provide snacks, we provide a crate. So really there’s no money involved. You don’t have to pay for anything,” Sharpley said. A massive “Puppypalooza” adoption event is planned for Sept. 16 at the PetSmart in Columbia, Maryland. For more information about fostering and adoption, check out Last Chance Animal Rescue’s Facebook page. All told, hundreds of people have had to be rescued as rapidly rising floodwaters overtook their homes. 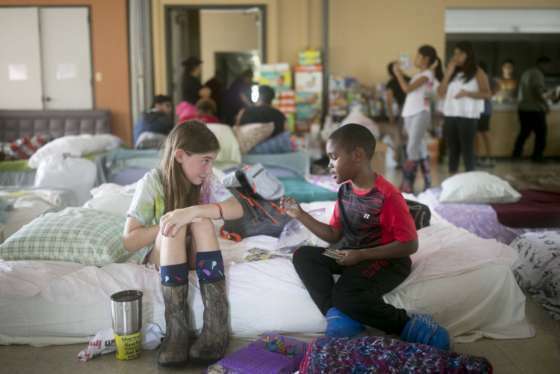 Shelters offering refuge are crowded with thousands of people and running out of cots.